Description : A unique Coin Purse where you can see all the coin on opening. One snap fastener to close. Available in Black, Brown, Cognac, Navy and Wine. Description : The leather Travel Companion. Compartments to keep your passport, ticket, boarding pass and all documents that you may need when you travel. Four Credit Card slots are provided. It has a deep note compartment and six flap pockets. A button closes the wallet. This is available in Black, Brown, Cognac, Navy and Wine. 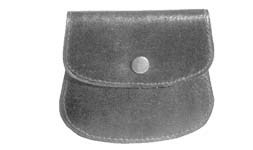 The leather coin purse is very simple and has no lining. A zip closes it. This leather purse has a different shape. 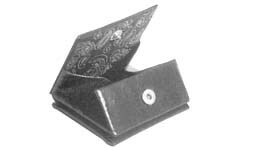 It has two compartments for keeping coins or notes. 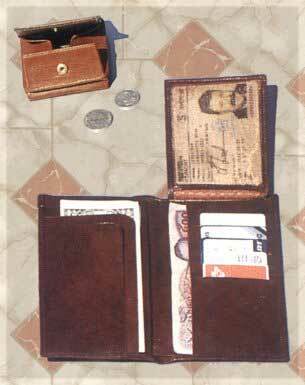 A convenient leather coin purse that can also function as a wallet. It has two note compartments. 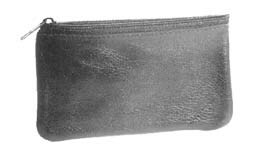 The semi-circular shaped zip pocket holds coins. It can be made from Cow or Buff leather. 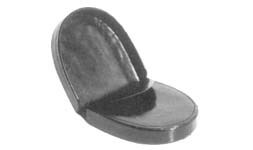 This leather tray purse will never be out of fashion; it used to be popular in old Indian Shanti leather. Today, you can also get this design in the normal leather. 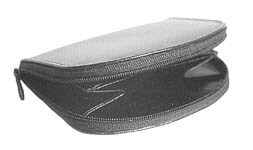 It has the standard tray and a small pocket for stamps. This square 7 x 7 cm leather tray purse is very convenient for the senior citizens or the car driver who needs quick change at the parking meter.